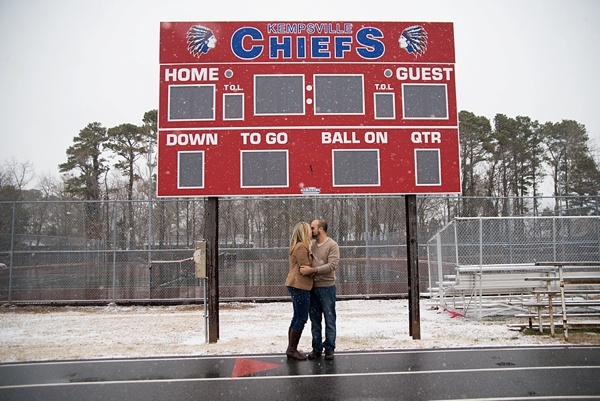 In 10th grade, Tammy and Brent were in the same English class at Kempsville High School in Virginia Beach, but their love story doesn't start until several years later. In 2013, one of Tammy’s friends convinced her to create a profile on Match.com. Although she didn't think online dating would work for her, Tammy set up her profile anyway. And one day, she got a message from someone that she recognized from high school that read, "I believe our paths have crossed before." As history would have it, they met at AJ Gators for their first date, just down the road from their former high school. 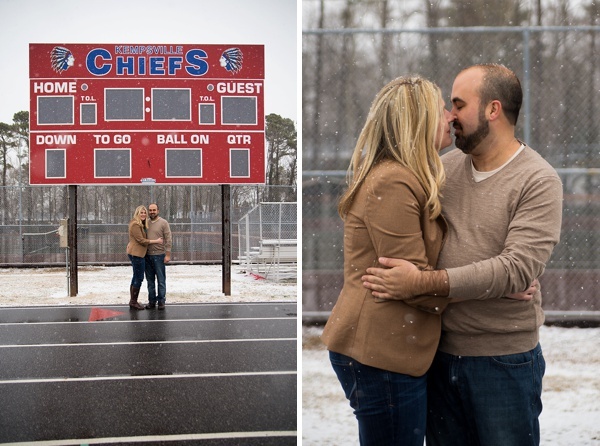 So for their engagement session with Caitlin Gerres Photography, these two kept to local spots that were meaningful to them: the park in their neighborhood, Kempsville High, and the gazebo around the corner. 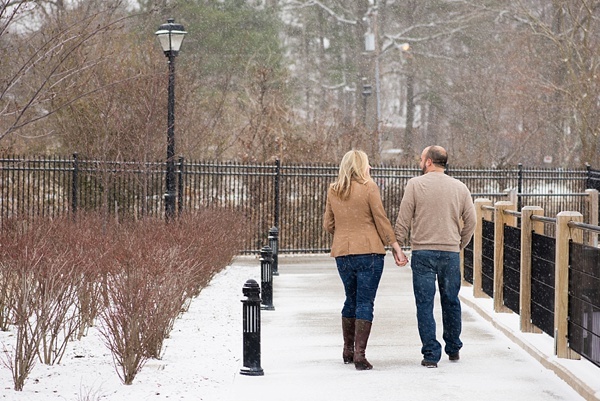 The snow that was beginning to fall was just the icing on the engagement session cake! 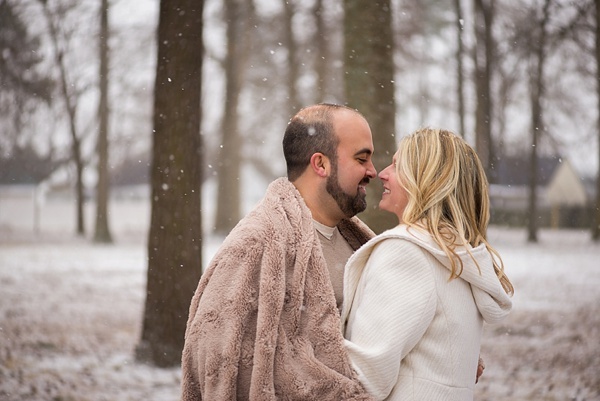 And if these two look familiar, it's because we featured their Lesner Inn wedding last year! 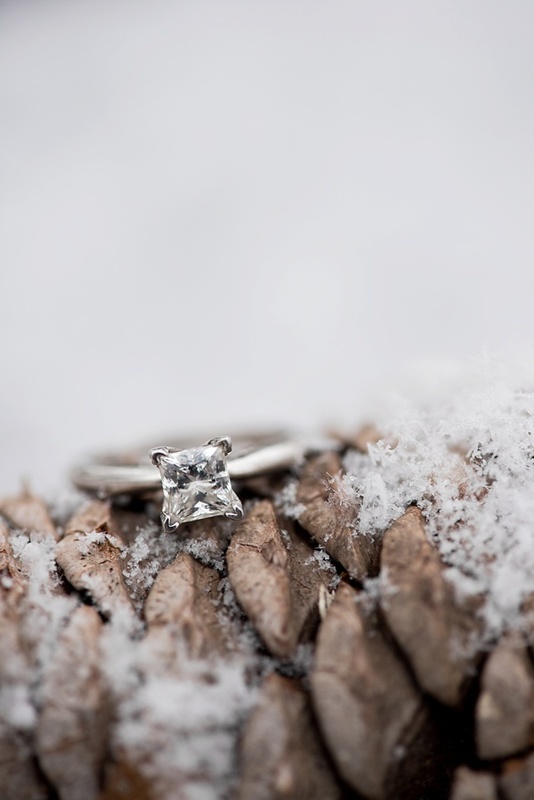 We just had to save their snowy engagement for you to enjoy now in our chilly January!